Vegan “Homemade” Greek-Style Yogurt (plain)–a Blooming Platter Exclusive for Tofutti! This recipe (or, really, more of an ultra-easy formula) was inspired by an invitation from Tofutti to create a plain Greek yogurt using any of their products. Wanting a nut-free version, I had initially thought I would combine their Better than Cream Cheese or Better than Sour Cream with tofu, until I remembered how pronounced is the soy flavor of processed tofu. So, then I wondered what would happen if I combined only the two Tofutti products. Eureka! Perfect in thick creamy texture and almost pure white color. The remaining issue was the particular “tang” of Greek Yogurt. (Sorry, but I had to take tiny tastes of my husband’s dairy variety to try to match it as closely as possible.) The flavor is is definitely NOT lemony, so neither juice nor zest would do the trick. I wondered about vinegar, but white vinegar is too astringent, apple cider vinegar to dark in color, and balsamic to pronounced in flavor, as well as deep in color. But rice wine vinegar proved to be the ticket! One teaspoon wasn’t quite enough; two was perfect! The purity of the flavor of Greek yogurt is tricky to duplicate, and my version admittedly has a little more complexity of subtle flavor notes than its dairy-based cousin. But it comes exceptionally close. 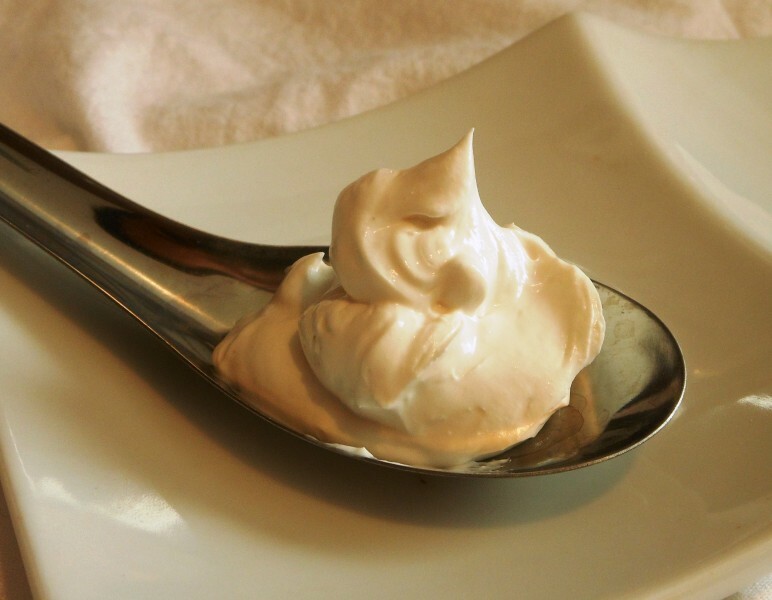 Enjoy using it however you use plain Greek yogurt!